As we all know, modern childhood comes with increasing pressures on children to perform and achieve, while at the same time new technologies, games, advertising and the pace of modern life all compete for their attention. 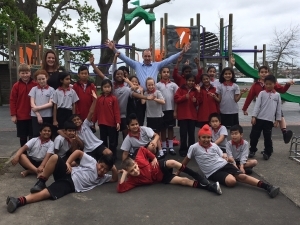 Pause, Breathe, Smile programme is New Zealand’s only locally developed and researched eight-week mindfulness in schools course designed in 2013 for Year 2-8 learners. 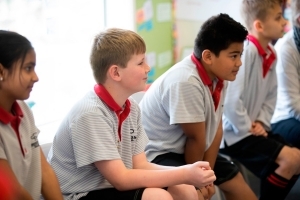 It aligns with the New Zealand Education Curriculum and incorporates Te Whare Tapa Whā as a key element of the programme. We have had four senior leaders train as Pause, Breathe, Smile Educators and they are all certified to teach this programme across the school. They will be running the eight lesson programme in classes across the school. Exciting times ahead to help our learners cope with the pressures of modern life. These Pause Breathe Smile lessons began in 2017 with all our Year 4/5 classes and one Year 2/3 class. The impact of these lessons on our students has been amazing. Not only have our teachers and children strengthened their ability to enjoy the present and use mindful breathing during times of anxiousness, they have adapted mindful breathing, walking and eating into their day to day life. One big impact mindfulness has had has been in terms of individual’s learning. 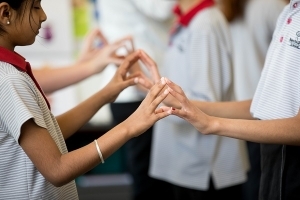 Many children have shared with us that they use mindful breathing prior to assessments and their results have showed outstanding improvements. The Mindfulness Group were so impressed with the feedback we gave them they decided to use Baverstock Oaks School to film mindfulness for an upcoming Nigel Latta series, ‘The Curious Mind’. Look out for Episode 4 in 2018 where you will see Baverstock Oaks students and teachers using and talking about the impact mindfulness has had on them. Any questions please do not hesitate to ask Mary Wilson, Genée Crowley, Andrew Flanagan or Kate Keenan.